"Your future is whatever you make it, so make it a good one!" I finally got around to pulling the DeLorean off the shelf and I noticed there were a few things I could still do to make it better. A little work and thirty minutes later and my DeLorean is finally perfect (well, maybe not perfect, but I still think I improved it a lot). As you can see, one of the most obvious changes is the switch from a very squarish Mr. Fusion to a new one-piece. 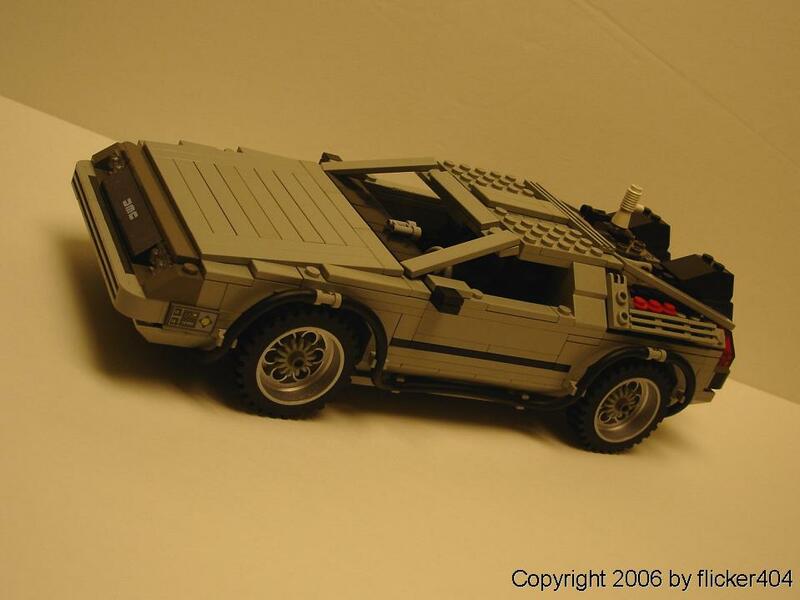 Using the megaphone for this car was inspired by Stanley-Efu's minifig scale Delorean (he uses the same piece). Ah, yes. The rear bumper. Don't know what I was thinking when I made the previous version without a bumper, but now the DeLorean's tush is protected. This design scheme is also another one I borrowed from Stanley-Efu. The front bumper recieved some black accents and flux dispersal banding around the front (as opposed to the dark grey tiles I had before). Looks a lot more like the real deal in my opinion. In this view, you can see the new rear flux dispersal bands. I used the same technique as the bumper because both parts are the same thing on the movie car. It adds a really nice touch and looks way better than those tubes I had before. A little extra detail never hurt any one. Here you can see those red thiing that non one knows what they do (but they're there). 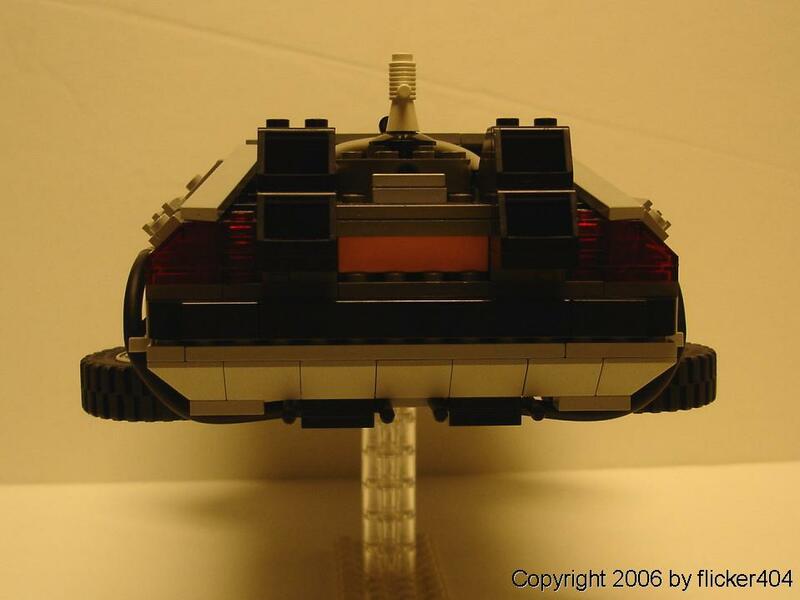 I added a ton of improvement to the rear of the DeLorean. That little grey pneumatic tube is the exhaust pipe that leads from the new reactor to the vents. The binoculars worked good as that little doohickey on the roof of the car (another one of those things that's never explained). 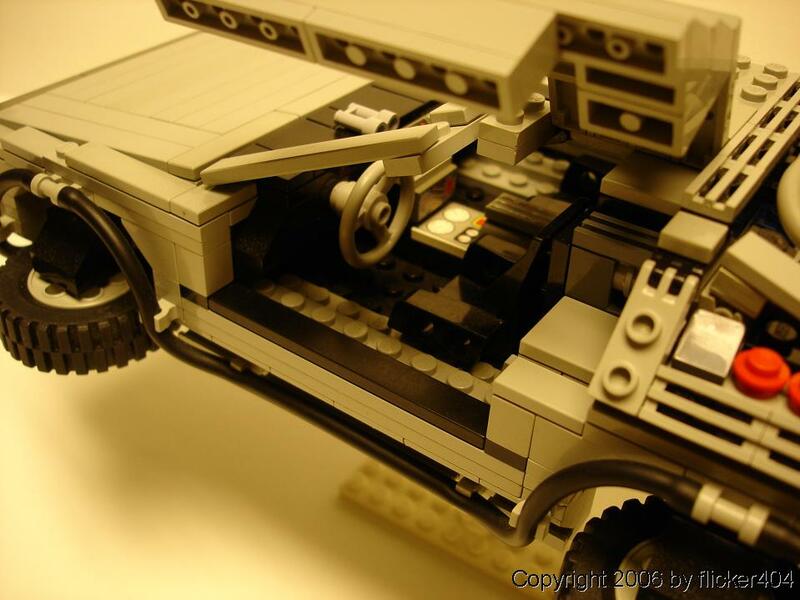 The new DeLorean can also be viewed on Brickshelf . Thanks for looking. Your future is whatever you make it, so make it a good one. 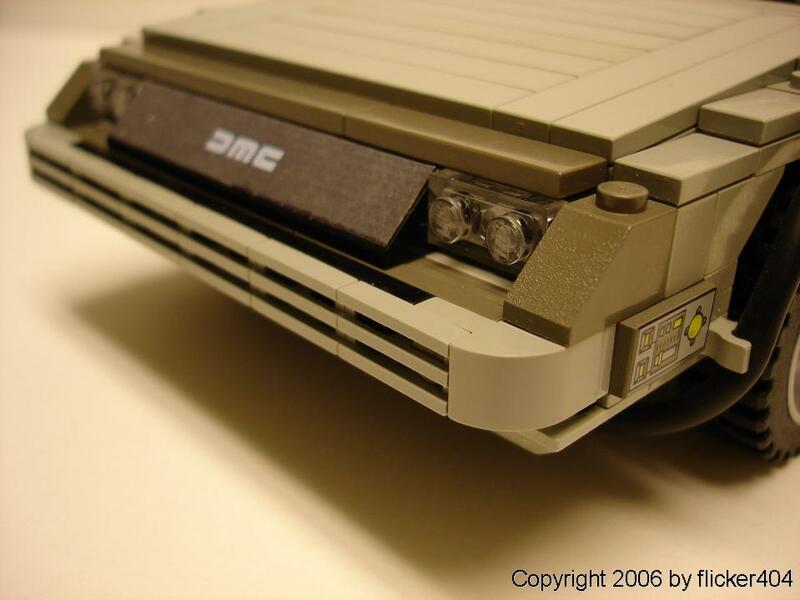 Just came across this page - it�s one of the best DMC MOC builds I�ve seen. Proportions feel right, and the fun is there, just like the real thing (and sadly not like the cuuso version) Would you be able to share the instructions? MOC@bokchoi.co.uk Thanks! What a fab version of this car! I�d love to build it with my boys. Please could you email the instructions? MOC@bokchoi.co.uk Thanks! Amazing build! Could you send the instructions please! Would love building it with my son. romain.beucher050@gmail.com Thanks! Good job ! Could I get the instructions at jeanbaptiste.momin@gmail.com ? Thanks! Looks great, Zach! Could I get the instructions at mark@mfinn.net? Thanks! Hello, Very nice job. Can you please send me instructions ? Thanks. 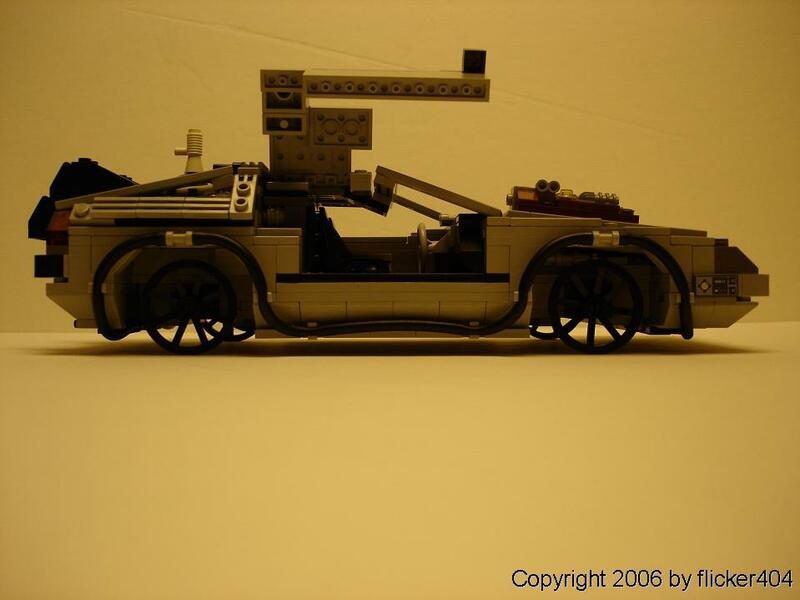 You have done a great job with this BTTF Delorean. It is definitely the best and most realistic version that I have seen. Would really appreciate a copy of the instructions. My email address is lobocot@hotmail.com. simply brilliant. best and the most representative of DeLorean ever. would it be possible to share the instructions at tiana_sam@hotmail.com please. Thank you in advance! Wow! 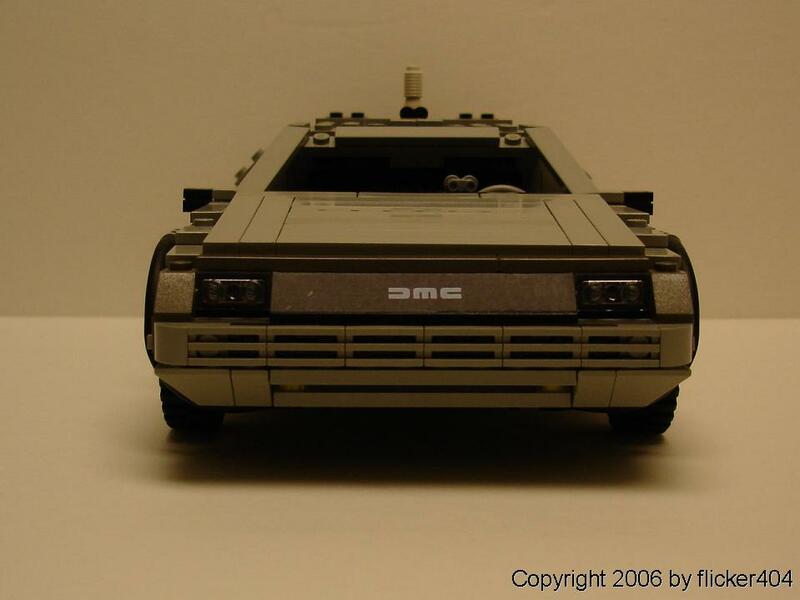 This is by far the most authentic looking BTTF Delorean I have seen. Great job! Would love to build one of my own. Could you send the instructions to dewitmichel@gmail.com ? Thank you in advance, keep up the great work! Quoting Eric Lobodzinski Question if you have time, did you build this out of mostly light grey or light bluish grey? Some of the parts in light bluish grey are hard to come by, haven't looked at all the light grey yet. Thanks! Originally I built this out of the old light grey, but all of the pieces I used are readily available in the new light bluish grey. Question if you have time, did you build this out of mostly light grey or light bluish grey? Some of the parts in light bluish grey are hard to come by, haven't looked at all the light grey yet. Thanks! This looks amazing! 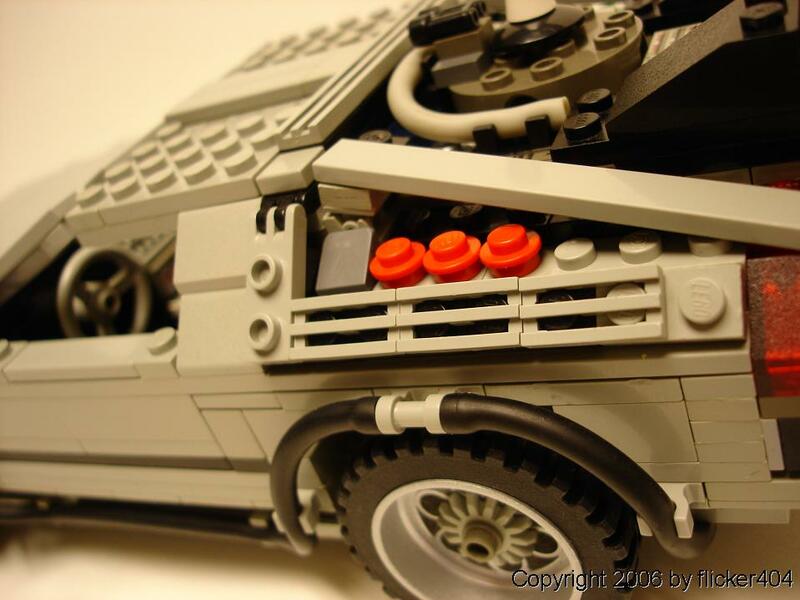 Will you release a new version using the flux capacitor, time circuits, and license plate from the LEGO Cuusoo set? I'd love to see how it looks with those pieces! Whoops, double posted. Could I get the instructions emailed to elobodzinski@gmail.com Thanks in advance! Amazing design! I have two things to say: first, I saw this design up on bricklink's stud.io by some guy in Italy, but through internet sleuthing (I admit I want to try my hand at this, wanting to give credit to it's creator and find more pictures) found that you were featured in a magazine for the design and all (coincidentally, I am from Bay City). I really thought you should know that someone is trying to pass your work as their own. Second thing was, do you mind if I try my hand at this MOC? Thanks! Awesome job! Could I also have the instructions please? rob_mendieta@hotmail.com Thanks! Quoting Cedric Calvetti Cette version est plus que merveilleuse... Tres bon boulot au createur. Est ce possible d en avoir les instructionsde montageaffin de compl�ter ma collection personnelle ? Cette version est plus que merveilleuse... Tres bon boulot au createur. Est ce possible d en avoir les instructionsde montageaffin de compl�ter ma collection personnelle ? Wow that delorean is one of the most accurate I've seen on the internet! Could you send me the instructions at t53e84v7@gmail.com please?? 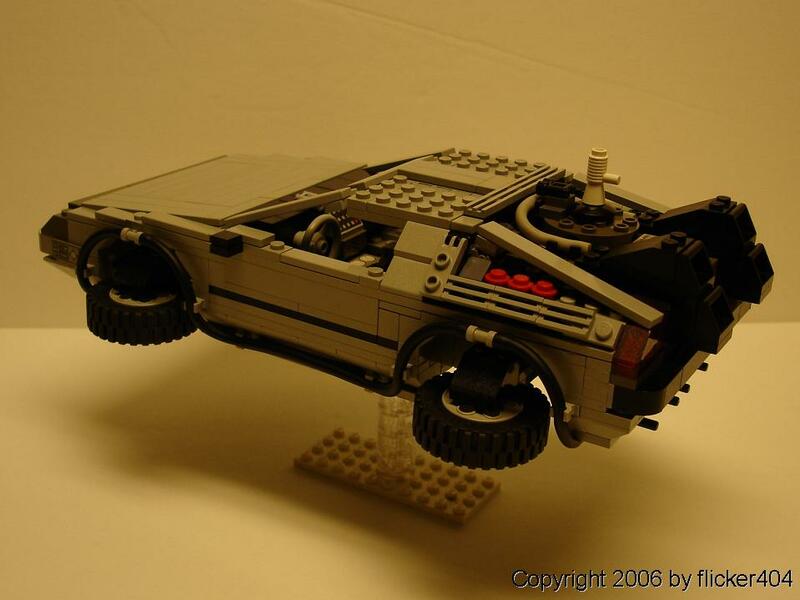 Wow that lego delorean is one of the most accurate I've seen on the internet! Could you send me the instructions at t53e84v7@gmail.com please?? Please send them to s_brue12@uni-muenster.de Many thanks! 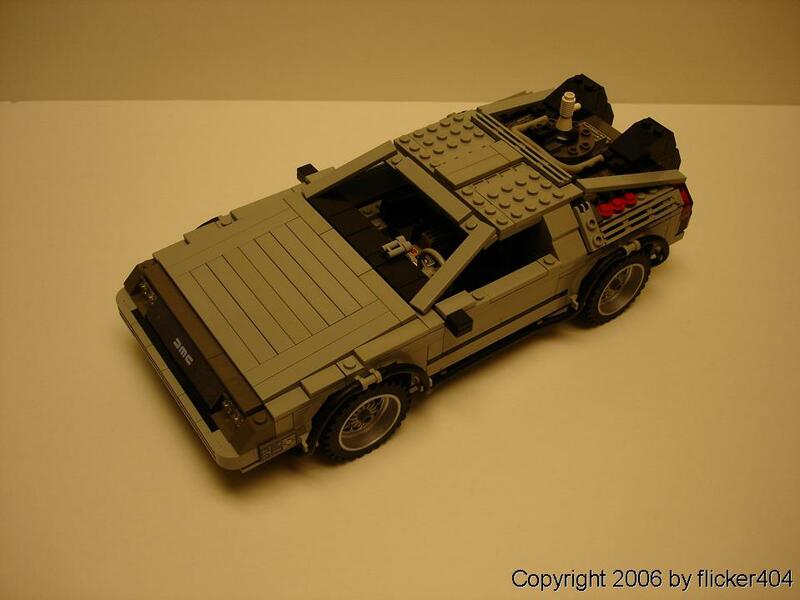 Quoting Simon Wernke That is one AMAZING Delorean! Way better than the one in stores :) Could you send me the building instructions? Many thanks! I can send you an older version of the instructions (the only version I have). Just need your email address. That is one AMAZING Delorean! Way better than the one in stores :) Could you send me the building instructions? Many thanks! That is one AMAZING Delorean! Way better than the one in stores :) Could you send me the building instructions, please? Many thanks! 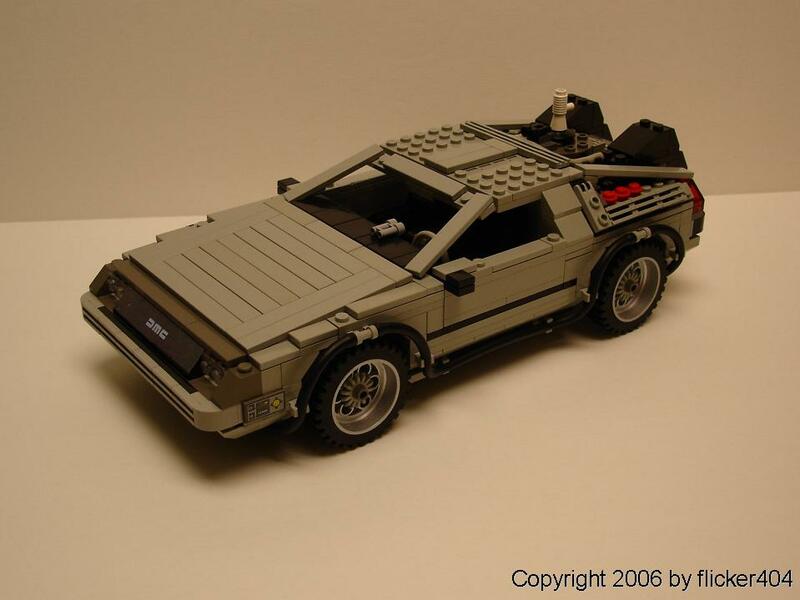 Hello, I'd like to reproduce your model of the delorean, could you send me the instructions, my email is barbaras80@virgilio.it thanks and congratulations is beautiful. 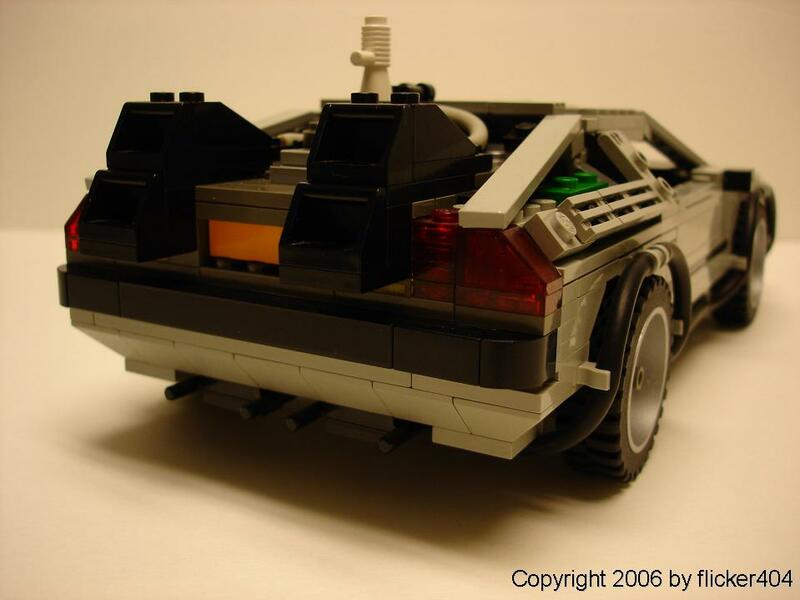 Quoting fabrizio grici hello my name is Fabrizio I like the delorean back to the future you have built with the lego, I would like to reproduce it, would you be willing to sell me the instructions? Fabrizio, if you send me your email address I can send you the instructions for free. They are slightly outdated instructions, but they are the only ones I have. The only thing they don't show is the new flat hood seen here but that part is easy to replicate. Those are meant to be the train wheels from Part III. 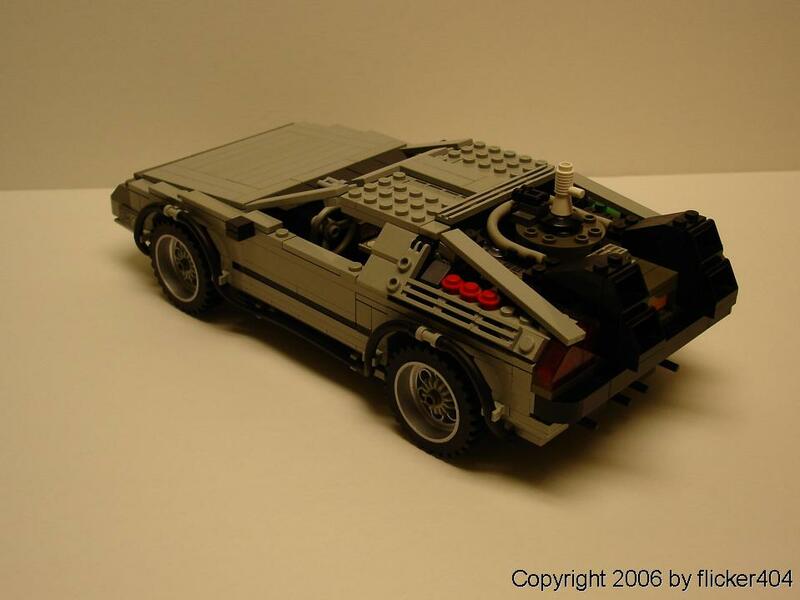 Sure, it,s the best delorean lego i have ever seen. Can i get the instructions please? javserran@hotmail.com thanks! Simply awesome!! Would you mind sending me the instructions please? javserran@hotmail.com Thanks! It's perfect! Please can you seend the instructions? Panicbear0088@gmail.com Thanks for share. Just awesome! Is there a chance to get the building instructions? Too bad it didn't get the appreciation back in 2006. Please think about a re-up on lego ideas!! The best !! Awesome ! Can you send me the instructions please? : puligny.clement@gmail.com Thank you very much. 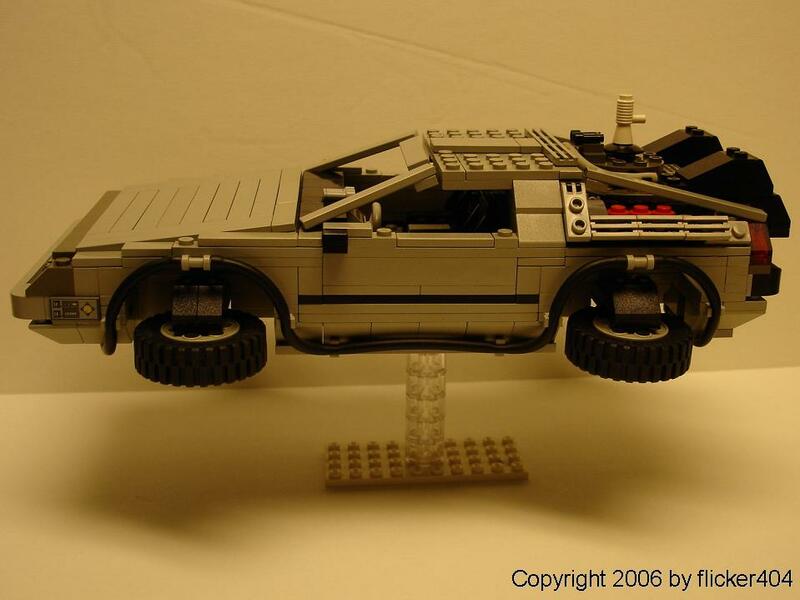 the best delorean lego i ever seen, congrats!! Can i get the instructions please? ricardojalb@gmail.com thanks! geez, this is one of the most detailed builds I've seen for a pop cultural release. 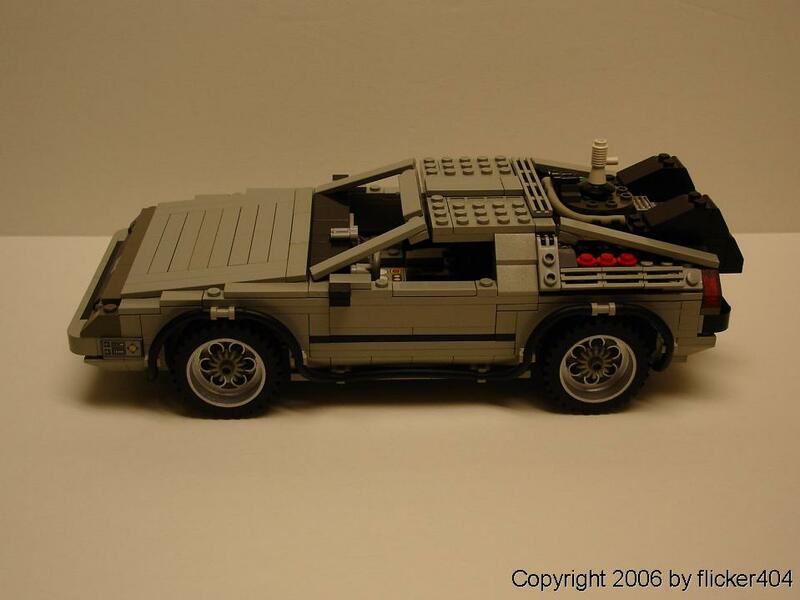 Did you start this off the basic deLorean lego set you can buy? In honour of the 30 year anniversary release this month.. i think I'm going to have a crack at this! cheers for the inspiration man! Quoting A Gavin Excellent, far better than the cusoo version. Do you still have it built? Excellent, far better than the cusoo version. Do you still have it built? That is by far the most amazing DeLorean I have ever seen! I am a stickler 4 detail and you nailed it remarkably! I hope to see more mocs by u soon! Its brilliant, please send me the instructions to rickgott2002@gmx.de thank you very much in advance. I love it, please send me the instructions to honorioarribas@hotmail.com thank you very much in advance. Love this! someone please send me the instructions too! valient1138@gmail.com THANKS!!! Please send the instructions to " yllasdivad080@yahoo.com " thanks!! can i buy the set of that for 60 dolors pls. P.S. i am a kid i am 11 years old. Excellent job, tried building one for my son but failed, Is it possible you could send me the instructions please? pretty cool delorean! the proportions are dead-on, congrats on motd! really great job, I really like it. Haha, who knew the Delorean would become and official set? Nice build of course! 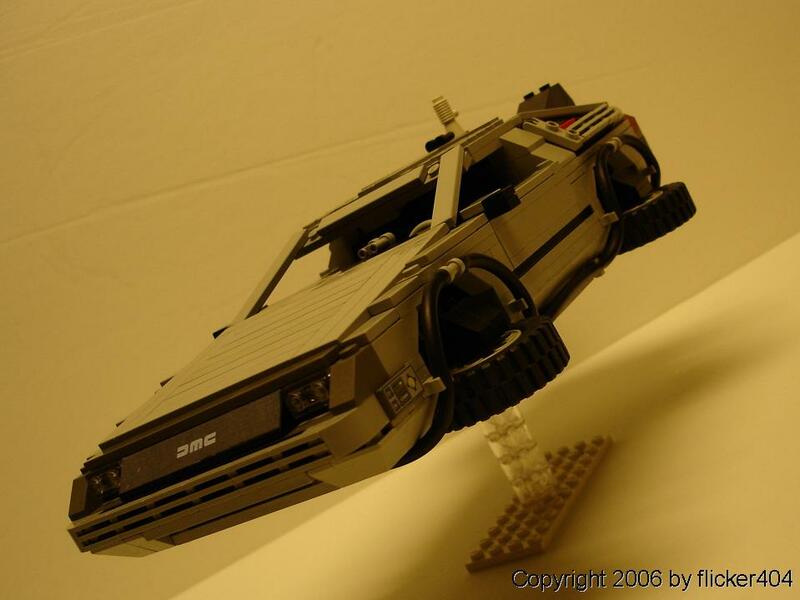 What a fantastic version of the DeLorean. Perhaps the best! Congrats on MOTD! amazing!! Congratulations on your motd! you deserve it!! Fantastic MOTD!! 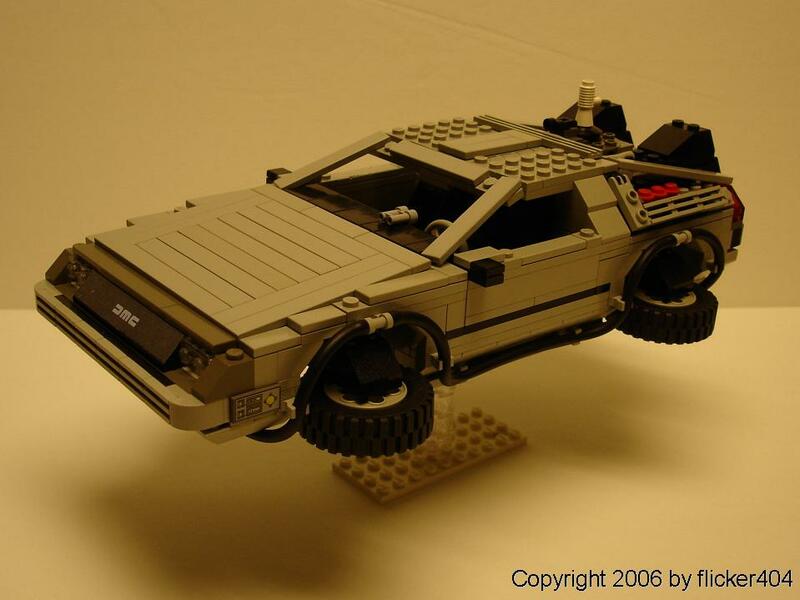 I have never seen back to the future but the DeLorean looks like a really cool car! Spectacular shaping and great detail! hello, can you please send me the instructions at ddacumos@gmail.com ? Can you post a link to the instructions for this? This is bloody brilliant! I'm on a mission to try and make this (or at least source all the parts) before christmas, other constructions just don't look as good as this!! Could I please get a copy of your instructions? lizziemaycooper@gmail.com thanks! Will the one from the third movie run on the existing lego train tracks? Great work! It looks just like the real one! 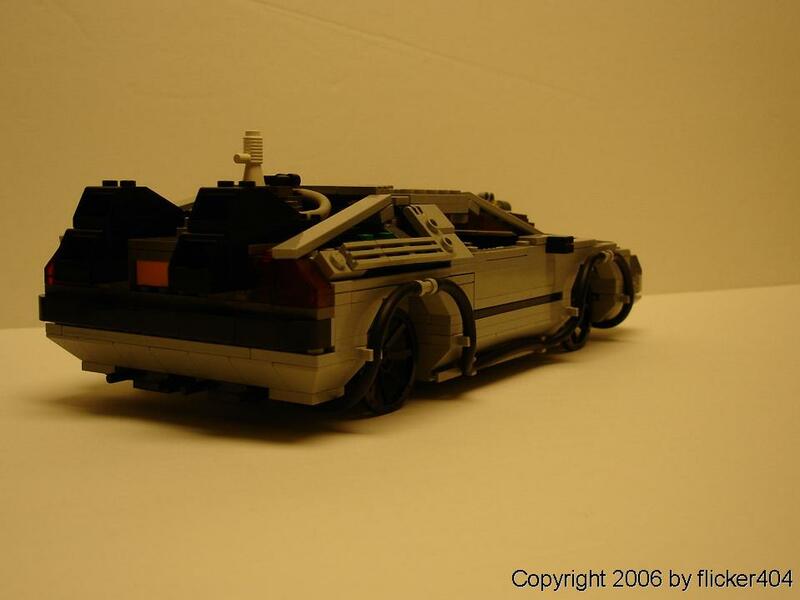 -LB Jr.
Best LEGO DeLorean i have ever seen. Where can i find the building construction to rebuild it with my son? Marvellous !!!! Absolutely amazing ! My son had made his Santa Letter and he just want a DeLorean Lego. I told him that it was certainly impossible for Santa to do it and he told me that Santo is up to do everything for gentle childs !! 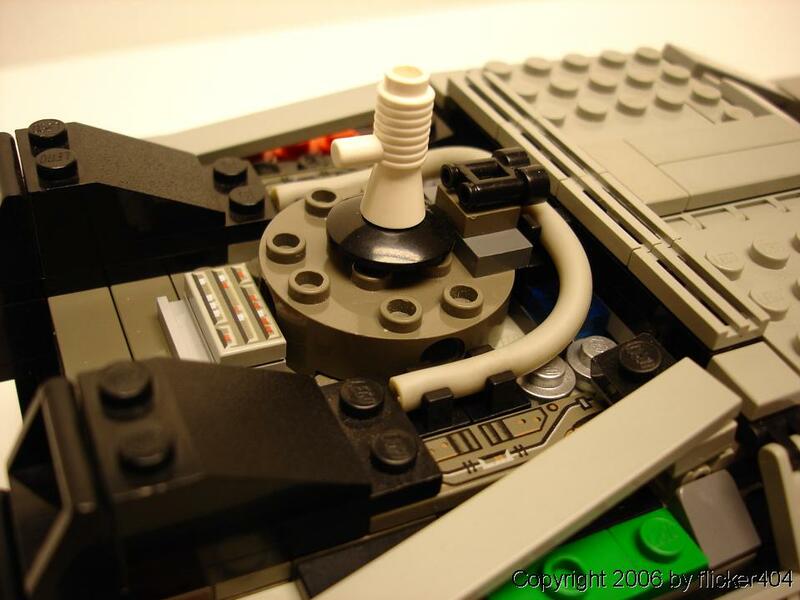 How could I have the steps for doing the car in the Lego creator or other technique ? Don't let a father alone in this... Please ... I can make something for You in design or graphism perhaps, I'm graphist/Illustrator. I just want to know if its possible to get the assembly instructions on this model! My son he is a freak of legos and also a fan of the movie! I know he will be very excited about this one! Excellent creation! I would greatly appreciate if you would kindly send me the instructions for the DeLorean please. My email address is ltbillings007@gmail.com. Continue on with your brilliant work! Groovy!! Please send me if could the instruction or give me selling price. I'm a great fan of your work and I visit your websites every chance I get. 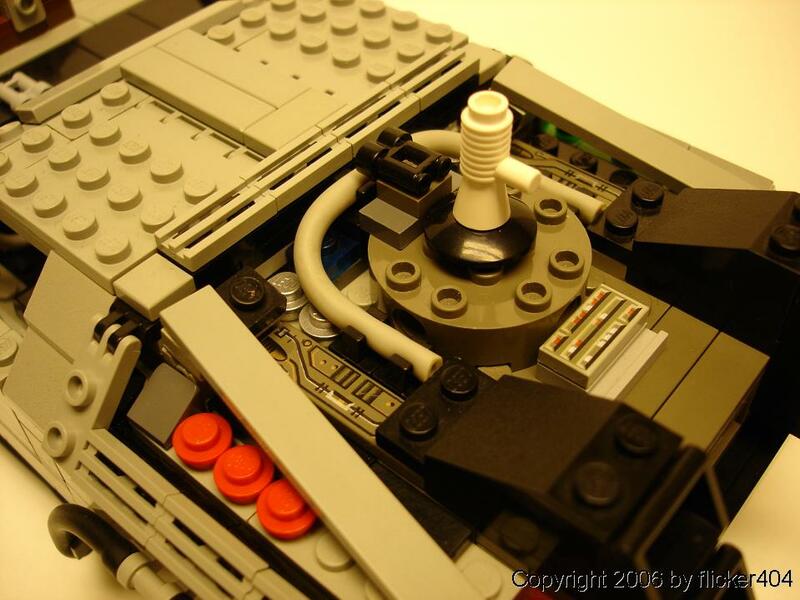 When I saw your improved addition to the DeLorean you blew my mind. I know everyone has asked you but I just want to ask you if I could grab the instructios on how to make it. I've been looking on the Internet for ages and i have never been able to get it right. 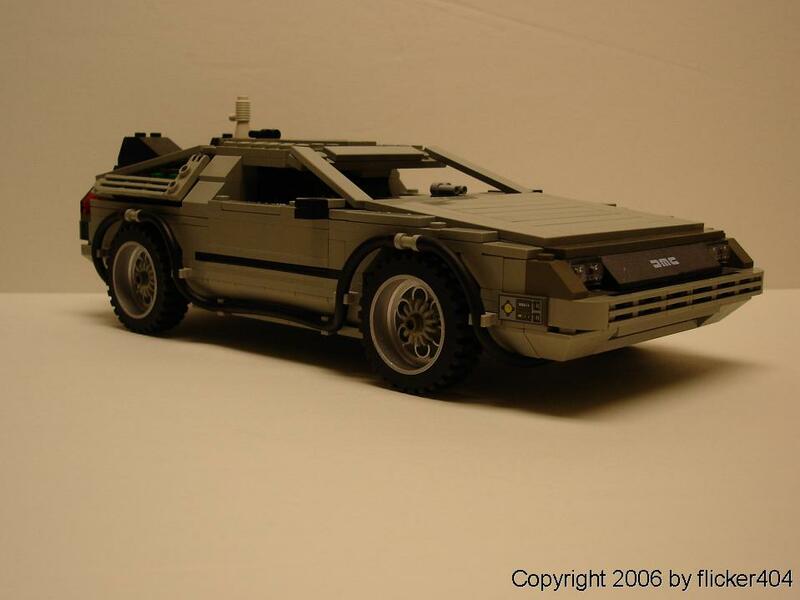 It would be a pleasure if I could make the Delorean myself. My email is 'spazo108@hotmail.com'. Thank you for making the world a better place by bring back the Delorean. Hi, I was wondering if any of you guys that requested to obtain/purchase the instructions for the BTTF Delorean from Zach received it. I never received a reply to my request and would be very interested still in getting a hold of it. Zach is you are reading this, please give me a shout and let me know if getting the instructions could happen. I appreciate it. Take care, guys! this is fantastic!!! i know 1909237 people have asked for the instructions, but i'd also love to chime in on that... any chance? stereo.freedom at gmail thanks so much! hi i was also wondering if i could have the instructions! libertic92@gmail.com thanks! Hello from the other side of the Atlantic ocean. You know what ? 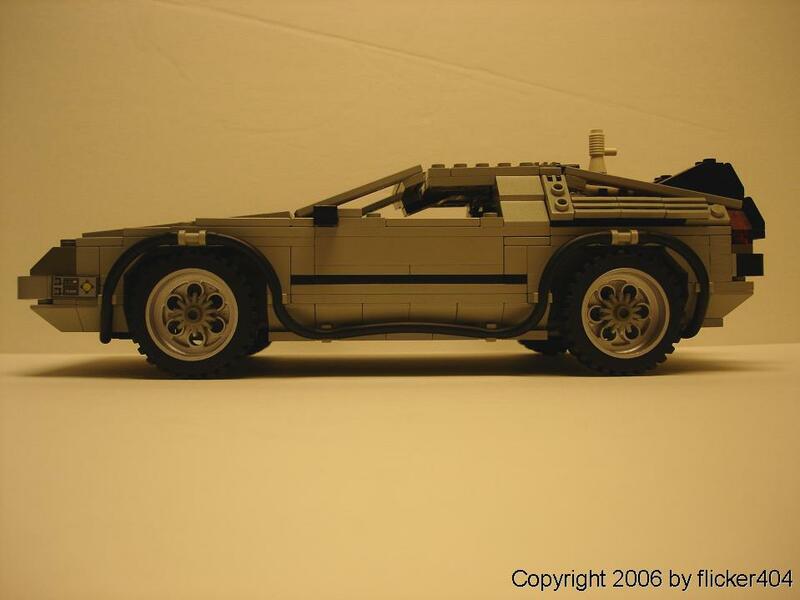 J'ADOOORE your version of the Delorean made of Lego. It's incredible I have never seen such a perfect clone. I do not know if you would agree, but please let me know if I can hope to receive an email from you with the instructions to make it myself. there is a commercialised version of it, but so ugly...(the one with remote control) Hope to hear from you soon and again CONGRATULATIONS, now I have to go and brush my arm's hair, because they are all standing up after seeing what you made. You are a LEGEND! Can you please send me the instructions? cjcassar@ymail.com. Thank you in advance! my 11 year old son is obsessed with DeLoreans and now loves this movie. He's also a huge lego fan. Any chance of getting or buying the instructions for this??? You are incredibly talented. Please please could you send me the instructions for this my kids and me would love too build this model together. Are you sharing instructions? My 10 year old Godson would go nuts over this! 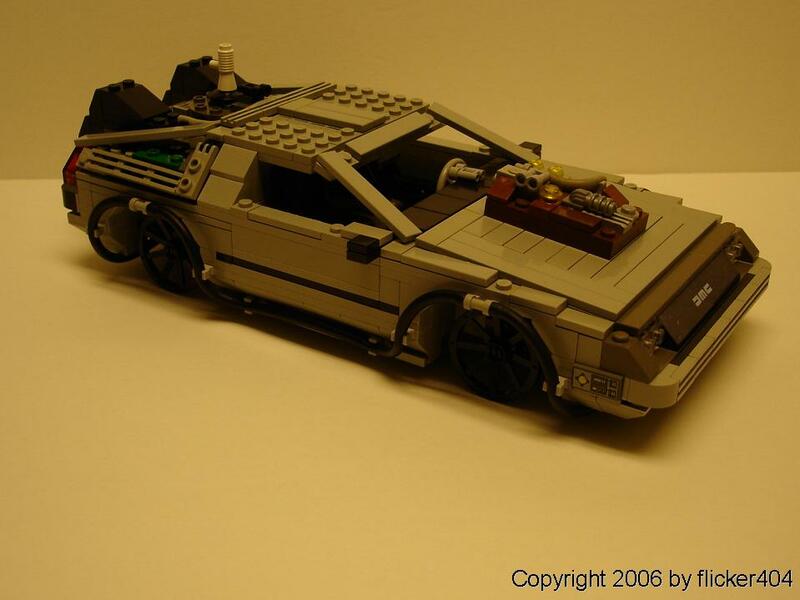 That DeLorean is WAY better than the old DeLorean! Please send me your building instructions to legomaniac0627@yahoo.com. Thank you so much! Are you thinking of selling it? I like it too!! Could you also send me directions? mmack0099@gmail.com. Thanks so much!! If possible could you send instructions on how to build this? My email is Drumer99x@aol.com Thanks!!! Just sayin this is soooo cool!!! Just perfect ! Can you mail me the instruction at arachnot@gmail.com, please ??? Awesome detail! Check out mine. Just perfect ! Can you mail me the instruction, please ??? I really like your model. It's awesome!!! When I saw a picture of it I definitely knew that this would be the perfect present for my boyfriend. He loves the movies and leogs. So would you please mail me the instructions of your New BTTF Delorean? Very nice indeed, love how its compact yet so realistic, ive seen some other versions and this comes THE closest to looking like the real thin, i built one from a youtube video and its cool but way bulkier than yours. If possible you mind emailing me the instructions to yours? dragonrider1619@yahoo.com, id really appreciate it. Lasty keep up the good work. it's increible, this is my dream, could you send me the instruccions please? jojanaco@hotmail.com, thanks you!! I think that so far I haven't seen the better version of this model from the film! Great stufF! 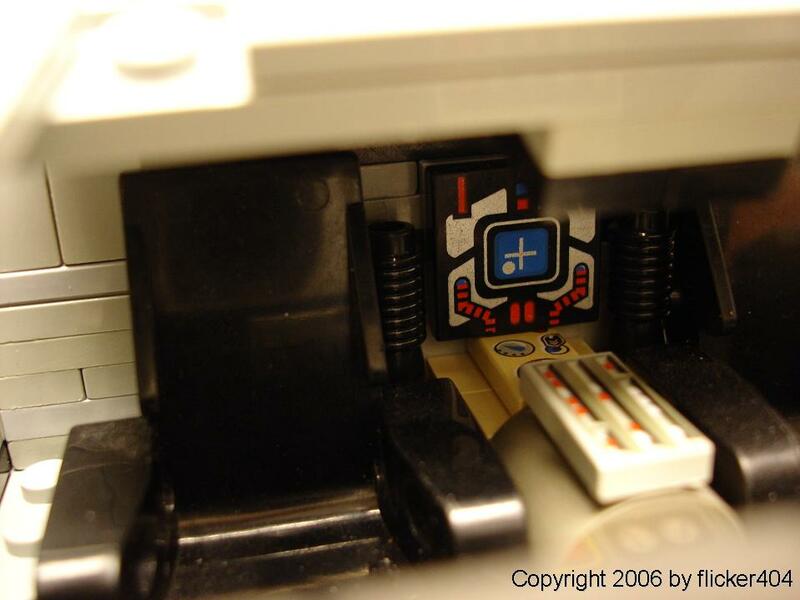 This is very well put together, I've noticed a lot more details in this one than others on MOC pages. Although I think the twin black things in the back shoulder be bigger. Awesome design, can you email me instruction on how i can make my own? This is just plain amazing. I watched the movies just last week. Can you mail the instructions, if you have any? ooohhhh big up da respect from france!!! that is a nice reproduction but one observation: where is the time convector?? Great! Put some 1950's wheels like in the sequels! This is so cool!!!!!! Can you please email me instructions. Can you please send me instructions? Thanks! Sorry, how I missed the section titled "Back to the Future", I have no idea :D . This is perfect in every respect by the way, nice work! When I was younger, I watched the BTTF trilogy a million times, until my parents were sick of it. Now I've introduce my little sister to it, and she's been watching it a million times until I'm sick of it! I showed her your stuff, and (since she also likes Batman), she's probably one of your biggest fans now. And let me just say, this DeLorean is darn close enough to perfect for me! You just proved that doing the impossible only requires some will (and creativity). Wow! That has to be the absolute best DeLorean I've ever seen! Great job. WOW that is almost exactley like it that is so cool!! MOC,Good. Pics,Bad This is well built. in the other one,I founds errors. But this is well done.